A BODY THAT EMBODIES MOTION. What sets Mazda design apart from other brands is our obsession with the ultimate form of beauty. Mazda’s KODO: “Soul of Motion” design philosophy is based on creating cars that embody the dynamic beauty of life – cars that visually suggest different expressions of this energy. At Mazda, designers never start by sketching a car. Their first step is to create an ideal form. We call this process Exploratory Preparation. Mazda designers create objects with different forms, exploring how they move people’s hearts. We believe that a form sincerely and painstakingly made by human hands gets a soul. Because we don’t just make cars. We breathe life into art forms. We take a unique approach to creating our paint colors. 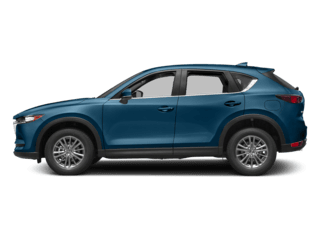 One of our goals for the CX-5 was to design a color that complemented every curve and angle, giving this stylish compact SUV even more depth, richness and luster. Our Soul Red Crystal Metallic paint does just that. Its unique three-layer paint process uses the changing light to create a sense of movement, even at a standstill. 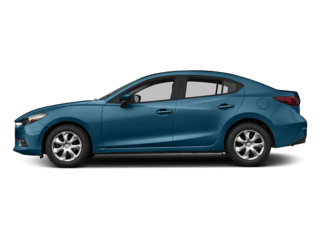 The available Power Rear Liftgate opens and closes at your command with either the available Mazda Advanced Keyless Entry button, or a button located inside the driver’s cabin. Plus, a standard easy-release 40/20/40 split fold-down rear seatback accommodates seating for five, or up to 59.6 cubic feet of cargo space. These versatile Roof Rails are the foundation for holding all sorts of gear. They can accommodate a range of specific attachments to carry things like bikes, skis, snowboards and more. 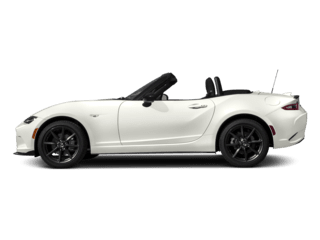 This Class I-rated receiver features a towing capacity of up to 2,000 lbs and was designed especially to accommodate the design of the Mazda CX-5. Four-pin trailer lighting connector sold separately. You should never be unprepared for bad weather. These LED Fog Lights will give you an edge in hazardous conditions such as rain, fog and heavy snow, and help increase your visibility to other drivers. THE HEART OF THIS SUV PULSES AROUND THE DRIVER. A connection from the very first touch – passed from the hands of the craftsmen who created it. This is the philosophy behind Mazda’s human-centric design for crafting the interior of the Mazda CX-5 crossover. Thoughtfully selected textures and finishes. Perfect positioning of door handles and controls. An expansive and intuitive space designed for driving enjoyment and rejuvenation. For both its driver and passengers. With the available intuitive Active Driving Display, vital information such as vehicle status, current speed, and route guidance is projected onto the windshield. Pertinent data is positioned in your line of sight and allows you to better adjust your focus-ultimately minimizing distractions while driving. Is it possible for something to transport you without moving? It is, when it’s designed for you, the driver. The MAZDA CONNECT™ advanced infotainment system helps keep you entertained, informed and connected-all while keeping your focus on the road ahead. 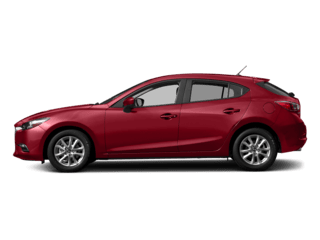 Easily accessible and visible, MAZDA CONNECT™ lets you navigate a multitude of infotainment functions. Just use the multifunctional Commander control on the center console to navigate the options displayed on your full-color display. It’s impressive technology that keeps you in close touch, no matter how far you travel. Did you lock your car or not? Know for sure with the convenience of our smartphone-controlled Mazda Mobile Start App. Lock or unlock your doors, start the engine, turn the rear defroster on or use the Carfinder function from just about anywhere. One-year subscription included. We crafted a superbly quiet cabin, so you hear more of what you want to hear. Mazda engineers incorporated unique sound-deadening materials such as sound-insulating glass and extensive seal insulation – resulting in a significant dulling of unwelcome road noise. Conversations are clearer. Engine noise and vibrations are diminished. So whether you’re enjoying the peace and quiet of driving alone, talking with your passengers or enjoying the ultra-clear sounds emitted from the available Bose® 10-speaker audio sound system with Centerpoint® 2 and AudioPilot® 2, your drive is even more relaxing. Help keep the great outdoors in its place. Custom-fitted to your CX-5, these All-Weather Floor Mats guard against snow, mud, sand and whatever else comes through the door. 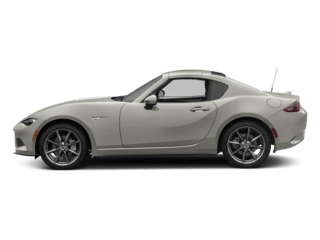 Enjoy all the advanced features of today’s navigation devices, including voice commands and advanced lane guidance with our available factory-integrated Mazda Navigation System. The system even offers a 3D interactive map with step-by-step audio directions. PREDICTIVE I-ACTIV AWD® RENDERING THE GREAT UNKNOWN, KNOWN. Weather and road conditions can change in an instant. That’s why available i-ACTIV AWD® helps predict when all-wheel drive might be needed, monitoring everything from outside temperature to throttle input and braking patterns. It then preemptively optimizes torque distribution to help curb traction loss. You may never even notice the change. Which is exactly what Mazda intended. SKYACTIV® TECHNOLOGY is at the center of the Mazda driving experience, consisting of the body and chassis. The framework incorporates ultra-high tensile-strength steel in critical areas to help make it lighter, yet stronger – ultimately making for a more enjoyable drive. Small details can make the biggest impact. This kind of thinking inspired Mazda engineers to spend years developing SKYACTIV-VEHICLE DYNAMICS with G-Vectoring Control – a subtle technology standard on the CX-5, and designed to help achieve a smoother, less fatiguing drive. When cornering, on initial turn-in and throughout, the system works seamlessly by adjusting power delivery and shifting vehicle weight. The only thing the driver will notice is a great drive. We wouldn’t have it any other way. Parallel parking can be a challenge, but our Rear Parking Sensors make it easier. These Rear Parking Sensors notify you of obstructions behind the vehicle using an alarm sound. An optional on/off switch is available for those towing. Don’t let your journey end with a trip to the paint shop. Help protect your Mazda CX-5’s finish from rocks and other road debris with our durable front and rear Splash Guards. These Illuminated Doorsill Trim Plates are a stylish offering to both a welcome entry and graceful exit. Step up the look of your CX-5. Our high-quality aluminum Alloy Pedals give your car a sporty, more powerful appearance. A SAFER ROUTE AVOIDS ACCIDENTS IN THE FIRST PLACE. Confidence is engineered into every Mazda. Thanks to a suite of available sophisticated safety technologies. The sort of innovations and detection devices that help drivers recognize potential hazards to better avoid collisions, or lessen their impact. So you can focus on what really matters–the road ahead. 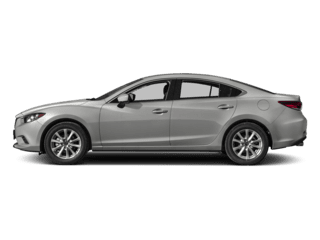 Mazda’s available Lane Departure Warning System alerts you when you’re unintentionally about to depart from your lane at a speed of approximately 37 mph or higher. When travelling at speeds above 10 mph, this available system helps sense traffic ahead and alerts when braking is immediately necessary. If the sensor determines that a collision is unavoidable, the automatic brake control will engage. Standard radar sensors help detect when objects are in your left and right blind spots. They also warn when fast-approaching vehicles are about to enter a blind spot from further behind. As you reverse, this standard system promptly alerts you on the back-up monitor, as well as on the side view mirrors, when it detects a vehicle approaching from the side. Available Lane-keep Assist performs minor steering corrections to re-center your vehicle in its lane upon sensing an unintentional lane departure. 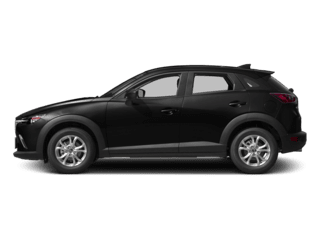 Looking to purchase a new 2018 Mazda CX-5 SUV in Allegheny County? 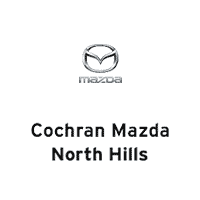 Cochran Mazda of North Hills’s Wexford dealership is happy to showcase a large inventory with a variety of trims & colors available such as the Mazda CX-5 Sport, Mazda CX-5 Touring and Mazda CX-5 Grand Touring. If you are looking to learn more about the new 2018 Mazda CX-5 model, our model lineup showroom offers full disclosure on the newest design, performance and safety features accessible for each and every trim. 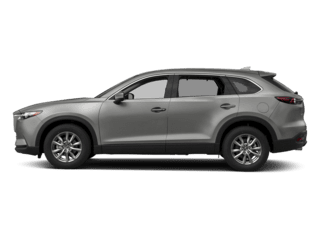 Take a look at our updated leasing offers with some of the lowest prices you’ll find on Mazda CX-5 available for leasing near Pittsburgh, Cranberry Township or Monroeville. Our sales team is happy to work with you to find a comfortable price range on a new CX-5 SUV so that you leave our dealership satisfied.